Scroll down for the recipe. 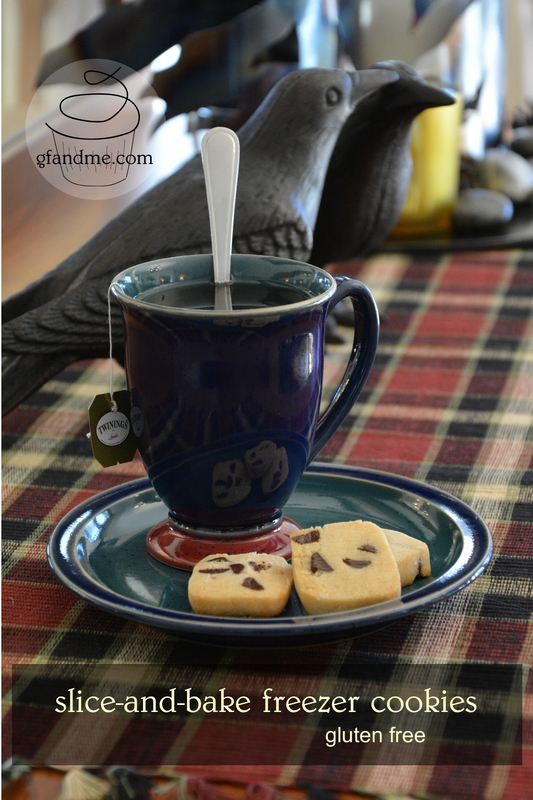 gluten free ginger snaps – one of Brenda’s holiday favorites! 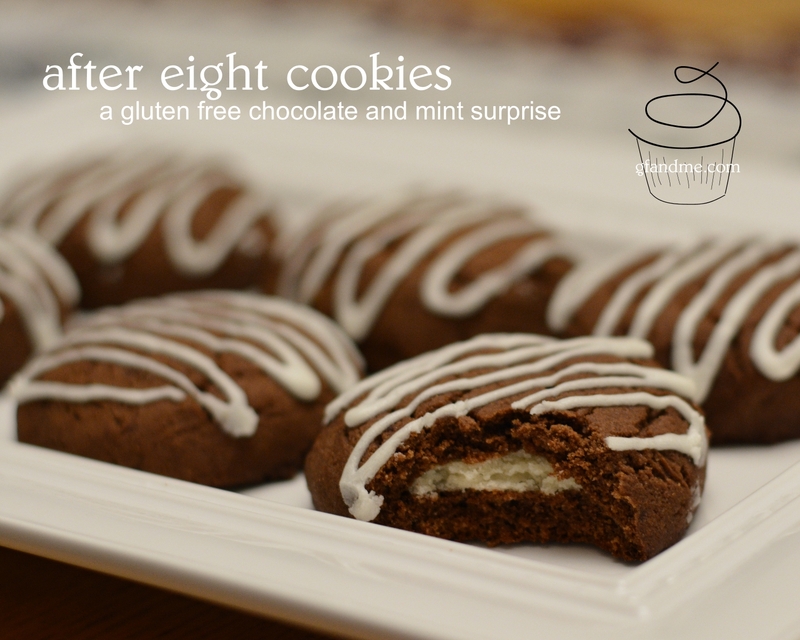 gluten free after eight (chocolate & mint) cookies – a bit finicky to make, but what a show stopper! 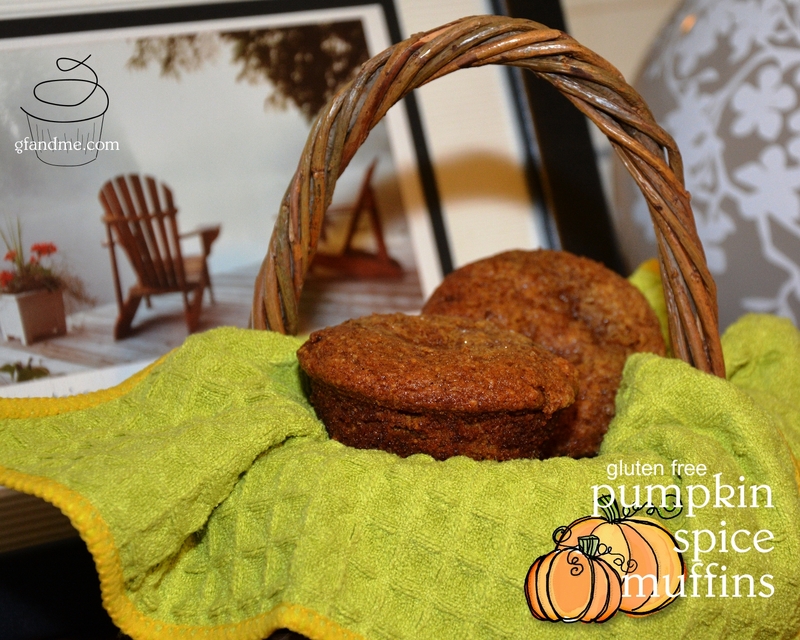 I was aiming for dairy free, gluten free pumpkin muffins but the resulting treats were so cake-like, I thought, “Maybe I’ve serendipitously come up with a recipe for gf pumpkin cupcakes?” Then again, I wanted to eat them for breakfast – and I just can’t let myself start eating cupcakes for breakfast. “So,” I decided, “they need a new name, something that encapsulates their light-yet-hearty crumb and spicy, sweet taste.” My first attempt was “muffcake”… but Geoff said that just didn’t seem right. In the end, I went with my next oh-so-creative idea: “cupffins.” Confused? Give them a try and you’ll see what I mean. 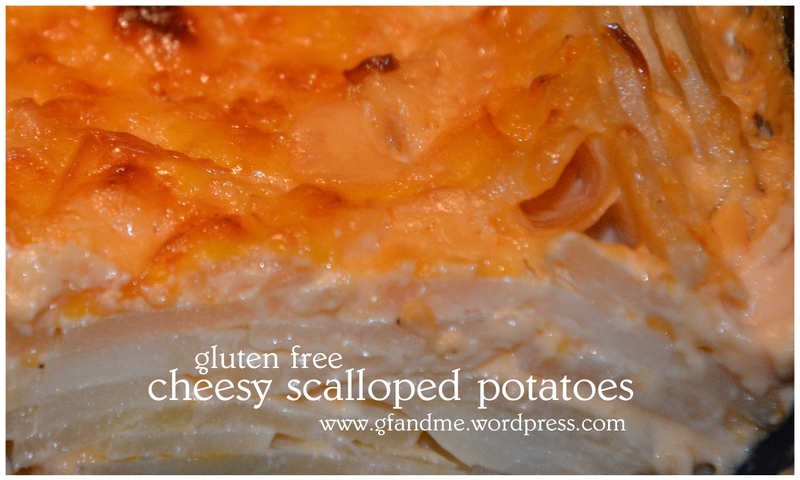 Looking for gluten free Thanksgiving recipes? Here are an even dozen of gfandme’s most popular posts just in time for the holidays. Click on the images to go to the recipes. Don’t forget to like us on facebook for two or three recipes delivered to your news feed every week! Or you can follow us on pinterest, or subscribe to our RSS feed to receive recipes by email. See the sign-up box to the left of your screen. I found this fabulous recipe for pumpkin cupcakes on fantasy author S. J. Wolff’s blog, Wolff’s Realm. I converted it to gluten free using coconut and rice flours, and the result was awesome! The cupcakes disappeared before I could even get a photo! So I made them again, and this time I made them into gluten free pumpkin tarts by adding a ginger cookie and coconut crust. 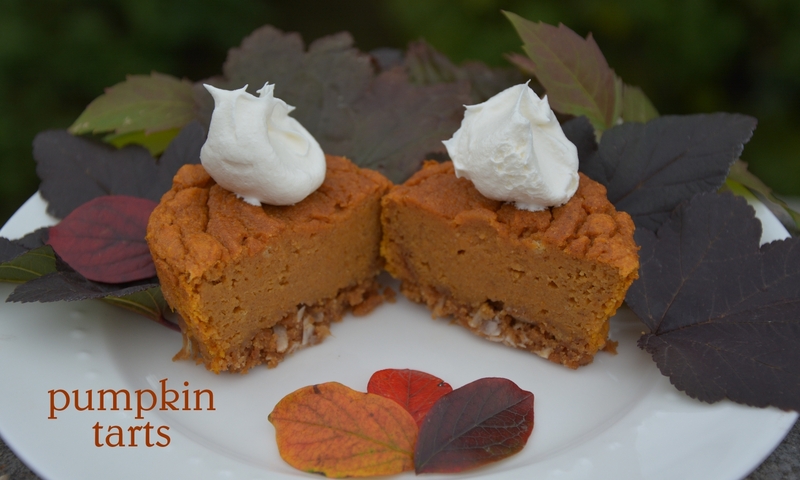 The ginger and coconut flavours combined beautifully with the pumpkin, the crumbs added a bit of texture, and the tarts also came out of the pan easier. And this time, I didn’t tell anyone about them until I had a picture to post! This filling would also be great with Mary’s Magnificent Pie Crust! This is a post from last October. We have been craving pumpkin lately so we thought we’d post it again for other fall pumpkin fans! Planning a gluten free father’s day? Here are a few suggestions from gfandme.com! gf kit kat – Is he missing these? Still looking for something that’s perfect for the dad in your life? Try our alphabetical recipe index. 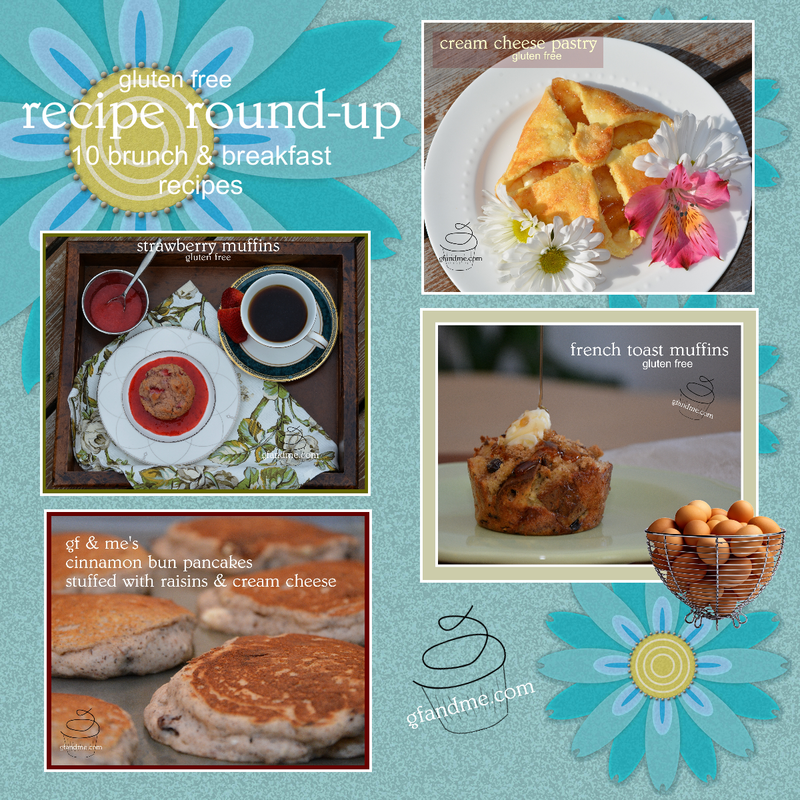 Easter Brunch Recipe Round Up! Everything from Breakfast Tarts to French Toast Muffins, to Raisin Scones and Cinnamon Bun Pancakes – all gluten free. No gluten? No problem! Try these Easter Dinner ideas! Looking for gluten free Easter recipes? 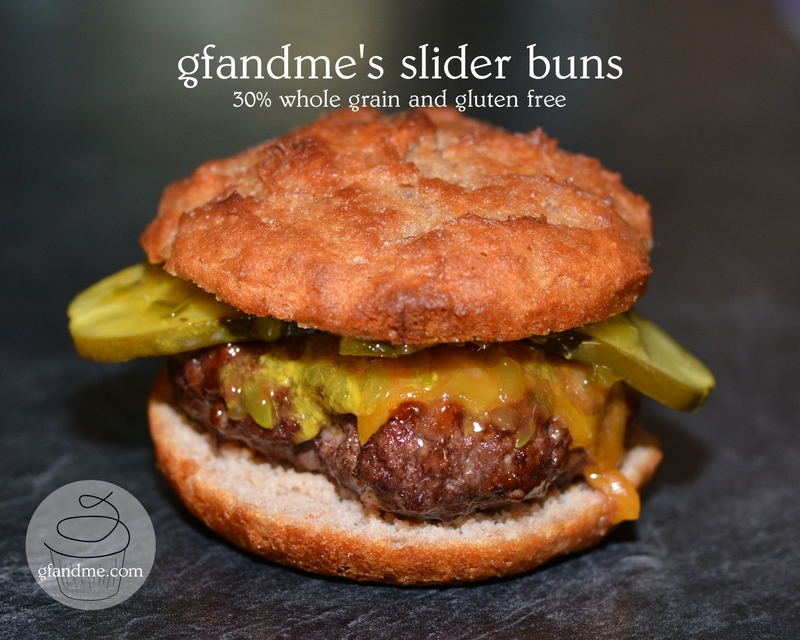 Here are some of gfandme.com’s favorite ideas for a totally gluten free ham dinner – including buns and – of course – desserts. If you still can’t find what you’re looking for, check out our alphabetical index! Later this week: gfandme.com’s best Easter brunch ideas! Don’t forget to like us on facebook for two or three recipes delivered to your news feed every week! 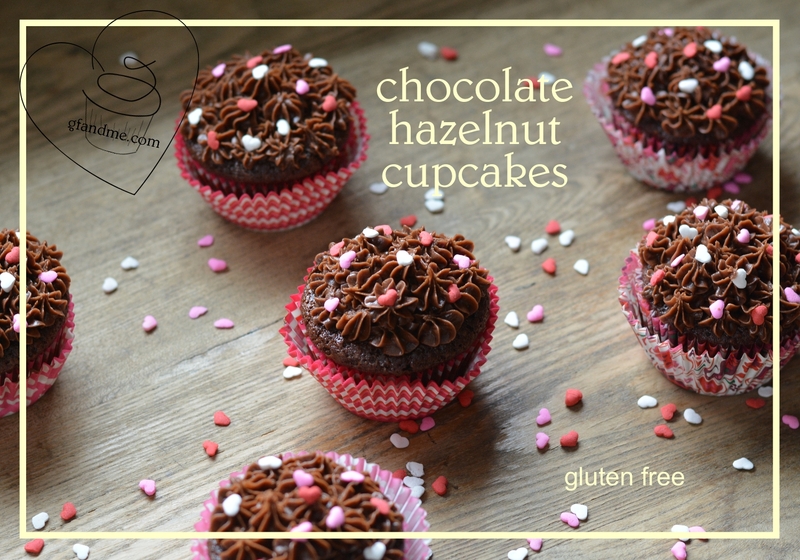 You can really taste the hazelnut flour in these rich and decadent chocolate hazelnut cupcakes. Great served plain, but once you add the creamy Nutella frosting (recipe below) you will NOT be able to stop at one! I used to make the glutenous version of these almost every year for Geoff for Valentine’s Day. He LOVED them. So when I found hazelnut flour in the grocery store the other day, I knew exactly what I was going to do with it – convert his old favorite to gluten free. I figured it’d be good, but it turned out even better than I expected! We actually like the gluten free version better. The hazelnut flour gives the cakes a more complex flavour and better texture. Scroll down and hit continue reading for the recipe. These after eight cookies sandwich a mint wafer inside a cakey sweet chocolate treat. Why? Because sometimes your cookie just needs another cookie! Besides, these look beautiful and aren’t as fussy to make as you might think. And they taste fantabulous! Especially with your favorite cup of coffee. This recipe was inspired by Canadian Living‘s “Chocolate Mint Surprise Cookies” in their 2014 Holiday Baking special issue. Some great recipes here and some awesome cookie decorating ideas. Check out their Hazelnut Meringue Kisses – gluten free! Okay. 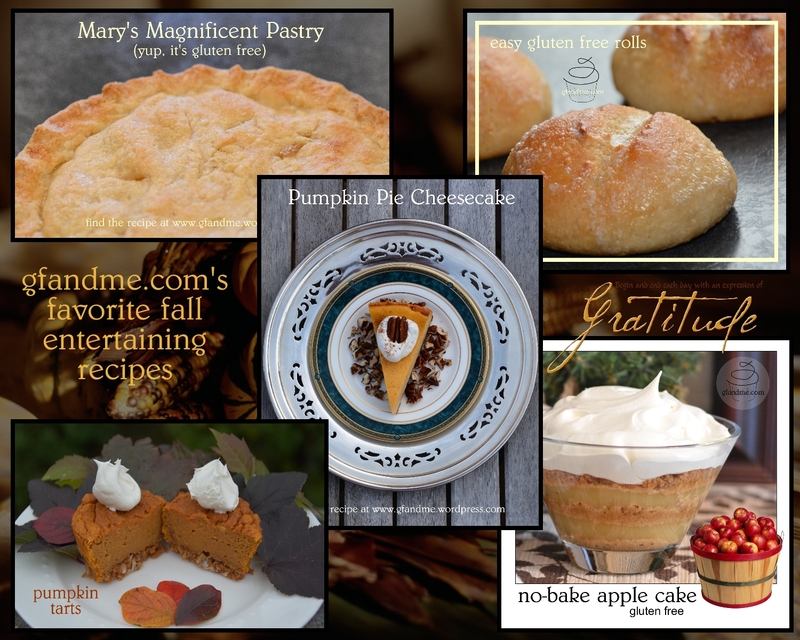 Yesterday’s post was all about gluten free treats and desserts so today’s is a round-up of gfandme’s best recipes for gluten free holiday fare – from brunch, party treats and appetizers, to full holiday meals . Whether you’re planning an intimate get together, a formal turkey or ham dinner or something else entirely – you’re sure to find one or two recipes to add to your gluten free table. 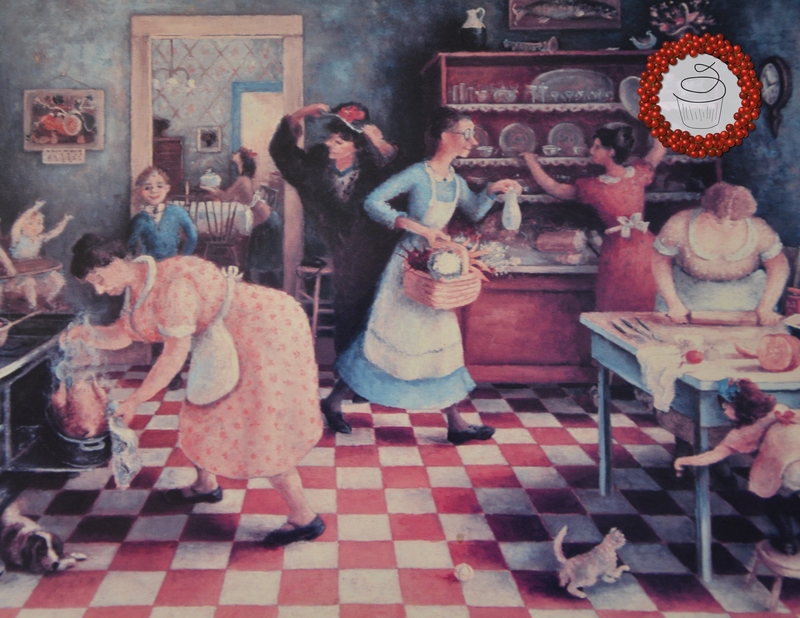 Bon appetit and Happy Holidays!